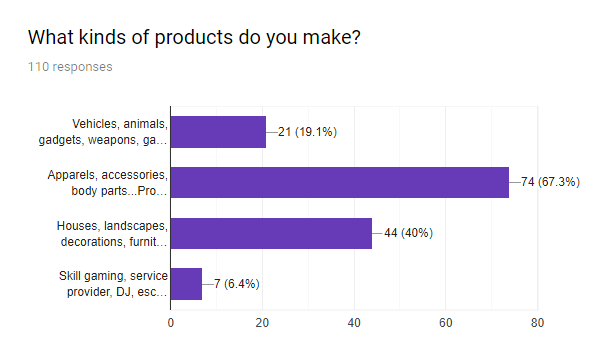 67.3% they make more of apparels, accessories, body parts products etc. Followed by houses, landscapes, decorations etc. 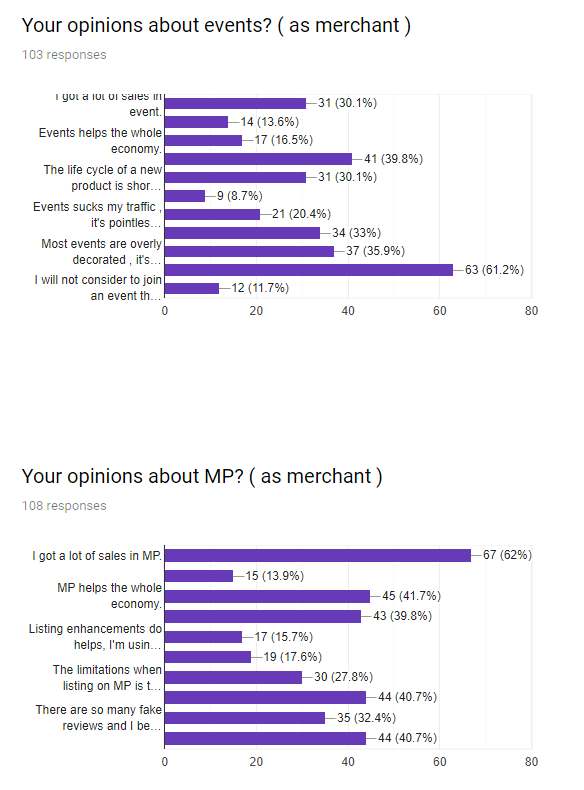 38.1% say that sales from events are very important to them. 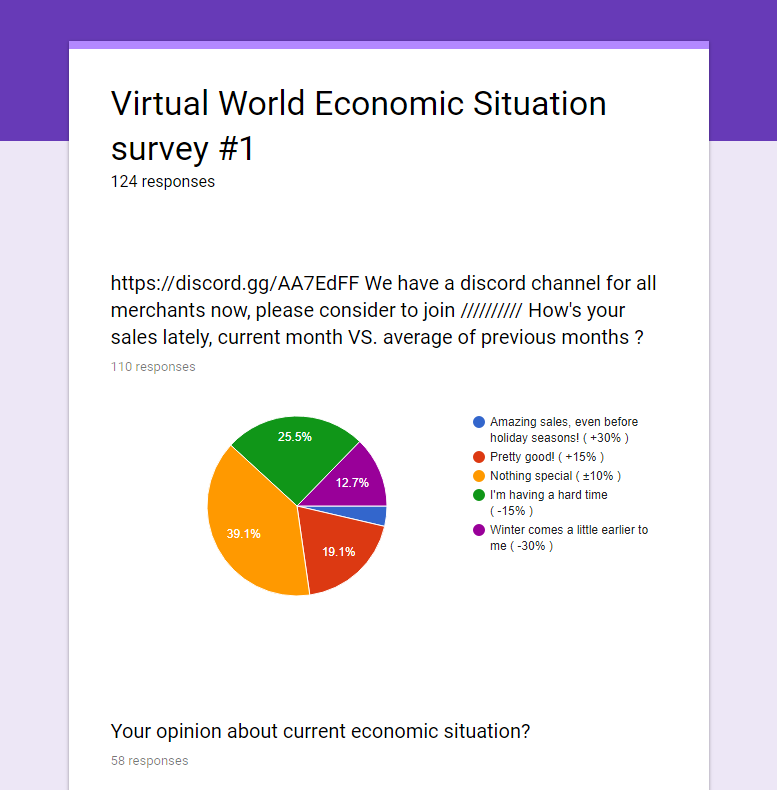 80.7% say they have a main store in-world, sales from MP are still very important to them. 61.2% say there are too many events now and 39.8% say events help their businesses advertise. 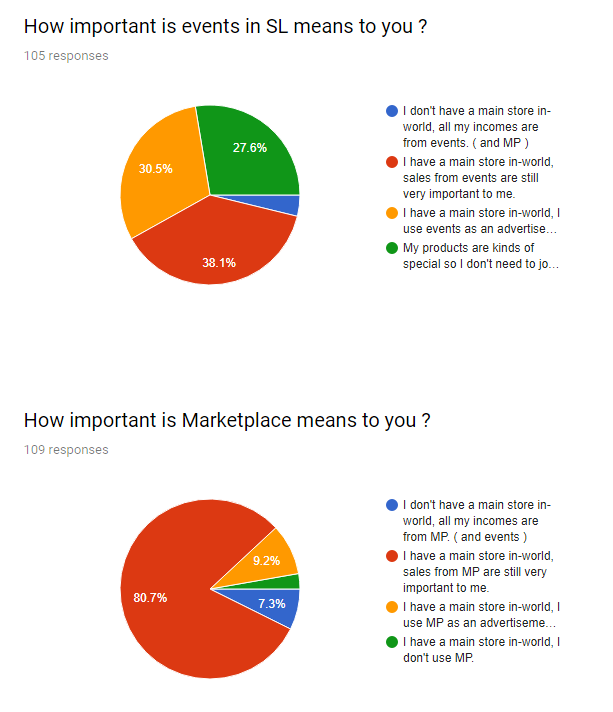 62% say they have got a lot of sales in Marketplace. 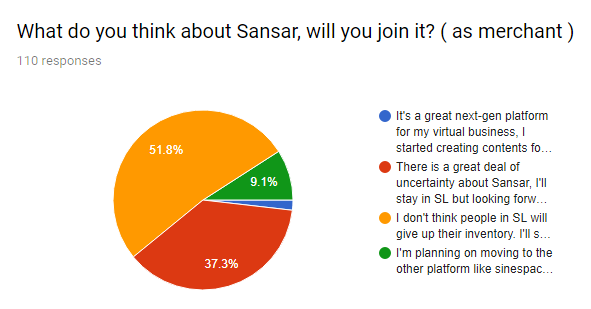 51.8% say they don’t think people in Second Life will give up their inventory and 37.3% say that there is a great deal of uncertainly about Sansar. They will stay with Second Life and look forward. Most people’s opinions about other platforms is that they have no interest in them at the moment. 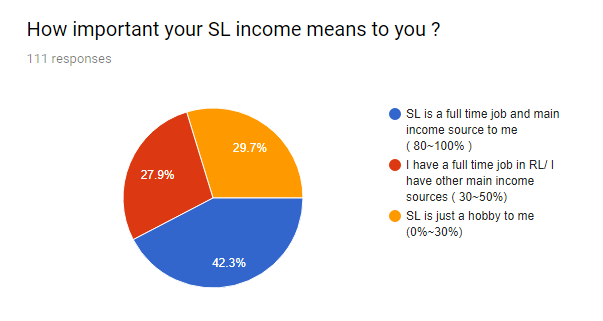 Most are saying that Second Life is still their preferred virtual world and they are not moving over. There were mentions of SineSpace, VRChat. InWorldz, High Fidelity and of course Sansar. I think give them more time and maybe more that will switch over to other platforms. 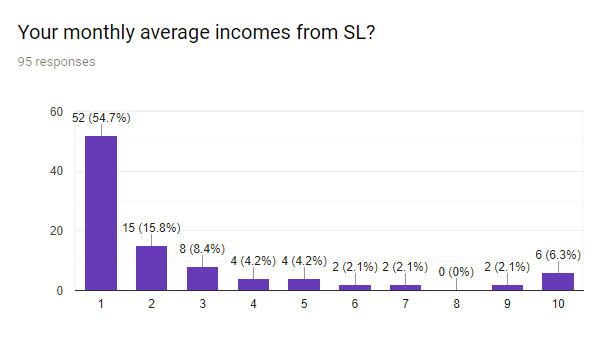 It’s worth reading the leave your questions area at the bottom of the results survey page. Some of the answers do go into a lot of detail. 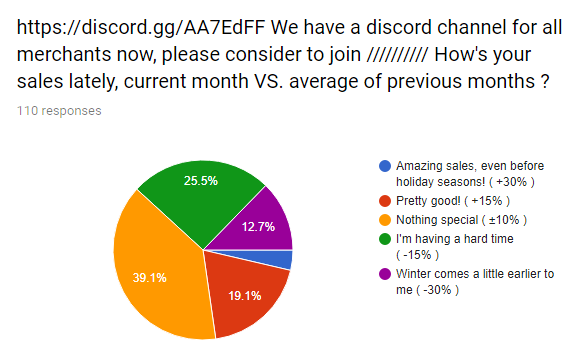 Overall it’s a good snapshot of the current situation for merchants in Second Life. I think these sorts of surveys should be published every year to see if things are getting better or worse.